It was a case of art imitating life with those behind a new Heart Kids Wellington awareness film faced with unexpected challenges at every turn. But, like the children at the heart of the charity, those behind the production persevered, with the end result, Every Beat of Life, screening at a red carpet event in Seatoun. The two-minute short film was made in partnership with Film for Change Aotearoa to show what it is like for children and their families to navigate life with a congenital heart disease. 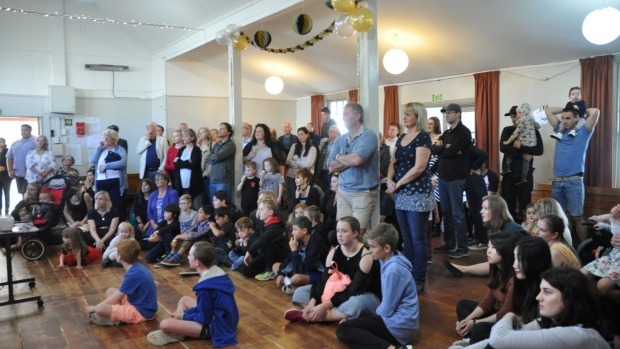 “This film represents us, it represents what we go through on a daily basis and the day-to-day things families have to go through,” Heart Kids Wellington chairman James Lawler said. Despite the film being only two minutes long, committee member Angela Haddon said it would be a powerful tool for the organisation to have at its disposal. The organisation, which receives no government funding, supports more than 400 families in the region with approximately two children born each week with a congenital heart defect. “As a heart parent or heart kid you look at things slightly differently. You understand that life is worth celebrating and every beat of life counts,” Haddon said. T Due to a handful of unforeseen challenges, production took a lot longer than expected. “We started in January last year, conceptualising the film with the intention of shooting straight away but we had to stop part-way through because of funding,” producer Shu Run Yap said. Once additional funding had been secured through a number of avenues, including Rotary, Yap was able to fully focus on producing the best product. The film has no dialogue – a stylistic choice that was agreed upon at the start of the project with the emphasis put on visually showing the challenges of having congenital heart disease. “For us, the idea has always been that we champion other people’s stories which is why our clients are so central in the story-making process,” Yap said. “The story needs to work for them because at the end of the day I want to let go of the project and say ‘this is your baby and I hope it works for you in every way’.